My first true love... after spending my junior fall semester of college here, I knew I was born to travel. I spent most weekends on planes, trains or busses getting anywhere I could within Europe and soaking it all in. This is my absolute favorite view of the city, especially of the Duomo, from San Miniato al Monte. The secrets to this view are the wonderful hike up, getting away from the crowds at Piazzale Michaelangelo and hearing the Gregorian chants at this beautiful church. The chants happen at 5:30pm every day during the summer and 4:30 during the winter. The other (not-so) secret is eating at Gustapizza for, seriously, the best pizza I’ve ever had in my life. .
Florence will always hold a special place in my heart, and I’ve already been back once with my husband, Jordan. Trust me, we will go back again, this is one of the most charming cities in the world! Florence Must Eat: Ristorante Natalino, Trattoria Anita, Icche C'e C'e, La Giostra, Gustapizza, I could go on, but these are my personal favorites. Eat and drink LOTS of wine! Sante Croce (lots of very cool people's tombs are here, like Galileo) -- try to go to as many of the churches as possible, they are all very beautiful, but be sure you check on the dress code before you go! I got into the habit of bringing a large scarf or shawl with me and tying it around my waist to cover my knees. Stay up real late one night and find a secret bakery - these are the guys that sell pastries to the bakeries all around Florence. They start baking between 1-3am and if you know where to find them and exactly what to say, you can purchase a sweet or a savory (no choice beyond that, just depends on whats coming out of the oven) very, very fresh. So. Good. Welcome friends! I want to share with you a journey I’ve been taking for quite some time now – photography and travel, and oh my – how well do they go together, right? If you have four days to spend in Italy, look no further! 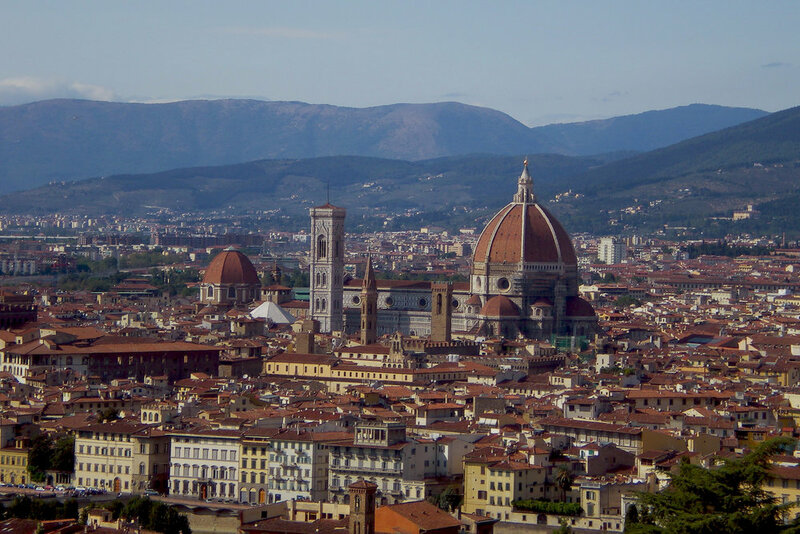 Here is your 4-day itinerary for your time in Florence, from Michelangelo’s David to climbing the Duomo, and maybe some stops for food in between! From the expensive public transportation to the mediocre food, Venice just isn’t the city for me. Read to find out more, but also what you can do to make your stay better than mine!